Weak earnings for Alcoa will likely set the tone for Tuesday's trading, but will this mark the beginning of the end for the current rally as some are suggesting? While profit taking is likely to hit large cap indices after three days of successively lower volume gains, the contagion, Alcoa, has been struggling for much longer. The stock peaked at the start of 2010 with a high of $17.60 but unlike the rallies in the S&P, Dow and Nasdaq off February lows, Alcoa has failed to make much headway and remains some distance from challenging 2010 highs. Indeed, along with Verizon (VZ), it has been the biggest drag on the Dow Jones Industrial performance, down over 9% YTD compared to the +32% return for Boeing (BA). The stock is shaping what looks to be a head-and-shoulder reversal pattern which on a break of the neckline, could see a long-term downside move to between $8.50 and $9.00 - toying with the summer lows of 2009. I have created a Trading Idea for a push to $8.61 with a stop at $15.31. 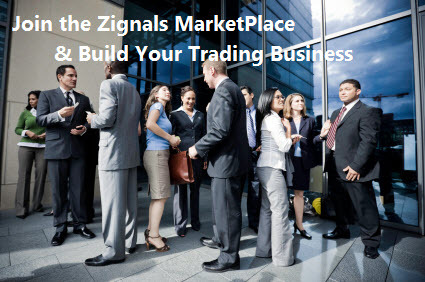 You can follow other Trading Ideas like these from my Zignals Home Page (each Zignals member has their own unique home page featuring their trading ideas and trading strategies; free membership is all it takes to get started and there is no charge to build a trading system or offer a stock pick). Long Unacted Entry for PKI.UN (Toronto) at $11.37 (EoD): Entry signal given, but exited position on same stock too recently (3) days ago. Long Unacted Entry for BAD.UN (Toronto) at $15.53 (EoD): Entry signal given, but exited position on same stock too recently (5) days ago. Long Unacted Entry for DCI.UN (Toronto) at $14.58 (EoD): Entry signal given, but exited position on same stock too recently (15) days ago. Long Unacted Entry for HSD (London) at 179p (EoD): Entry signal given, but exited position on same stock too recently (6) days ago.